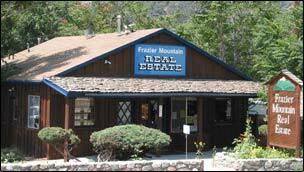 Frazier Mountain Real Estate was established in 1977 and has been serving the Frazier Park Community and surrounding areas for over 40 years. Our office is located in the center of Frazier Park, and we offer properties for sale in the mountain communities of Frazier Park, Lake of the Woods, Pinon Pines, Cuddy Valley, Lockwood Valley and Lebec. We also offer property management with full time rentals. With our professional staff we are able to specialize in quality service and personal attention. So whether you’re looking for a forclosure, fixer upper, new construction, mountain retreat, or ranch home, Frazier Mountain Real Estate can help find the right home for you. Free! Sign up for your free list of available homes for sale.